Dr. Semyon Slobounov is the director of the Virtual Reality/Traumatic Brain Injury research laboratory. He is a Professor in the Department of Kinesiology College of Health of Human Development, and Adjunct Professor of Orthopedics and Medical Rehabilitation with Penn State Milton S. Hershey Medical Center, with primary responsibilities to teach undergraduate and graduate courses in the areas of psychology of injury, neural basis of motor behavior, and psychophysiology. His coaching background and clinical work with numerous injured athletes for more than 25 years. His research focused on neural basis of human movements with special emphasis on rehabilitation medicine, psychology and neurophysiology, including traumatic brain injuries. 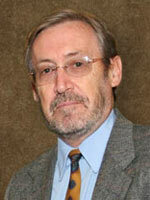 Dr. Slobounov is an adjunct investigator with the National Institute of Health, National Institute of Neurological Disorders and Stroke.He has published more than 100 papers in referee Journals including Experimental Brain Research, Clinical Neurophysiology, Psychophysiology, Neuroscience Letters etc. He is the author of two recently published books by Springer: “Foundations of Sport-Related Injuries” and “Injury in Athletics: Causes and Consequences”. 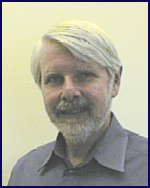 He is an active member of Society for Psychophysiological Research and a fellow of American Academy of Kinesiology. 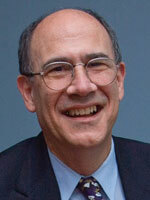 He also is an adjunct Professor of the Neuroscience and an affiliate Professor of Gerontology Center at Penn State. He received his first Ph.D. from the University of Leningrad, Department of Psychology, USSR in 1978 and his second Ph.D. from the University of Illinois at Urbana-Champaign, Department of Kinesiology in 1994. 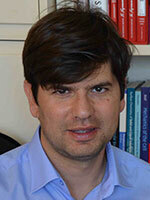 Dr. Sebasitanelli is also a principle investigator for our research. He is the chief physician in our lab, and oversees our patient-athletes. Dr. Sebastianelli’s academic record includes a Fellowship in Sports Medicine, Penn State Milton S. Hershey Medical Center (1989) Residency, Orthopedic Surgery, University of Rochester Affiliated Hospitals (1988) M.D., University of Rochester, School of Medicine & Dentistry(1983). He was an assistant professor in the department of Orthopaedic Surgery and Rehabilitation at The Pennsylvania State University/Hershey Medical Center from 1992-1995. He is currently the Director of Athletic Medicine and head team physician at PSU Athletics. 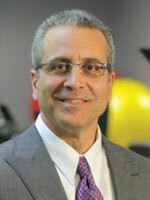 Dr. Sebastianelli received tenure at The Milton S. Hershey Medical Center/College of Medicine, department of Orthopaedics and Rehabilitation in 1998. He has worked at the Centre Community Hospital as Chief in the Department of Surgery from 2000-2003 and is currently assistant Chief of Staff at the Centre Community Hospital Surgical Center. Dr. Sebastianelli has received The Best Doctor in America® in 2002 and 2004. His selected publications are: Slobounov, S., Sebastianelli, W. J., Simon, R. Neurophysiological and behavioral concomitants of post-concussion syndrome in athletes. Clinical Neurophysiology, 113:185-193, 2002. Putukian, M., Sebastianelli, W.J. : Football. In: The Team Physician’s Handbook, Third Edition. Editors: Mellion, Walsh, Madden, Putukian, Shelton. Hanley & Belfus, Inc., 54:567-587, 2001. Sebastianelli, W.J. : “Football”. In: Sports Medicine Secrets 3rd Edition. Mellion, Putukian, Madden, Editors. Hanley & Belfus, Inc., 82:437-446, 2002. Robert E. Harbaugh obtained his M.D. from the Pennsylvania State University College of Medicine and his general surgery and neurosurgery training at Dartmouth. He was appointed Assistant Professor of Surgery (Neurosurgery) at the Dartmouth Medical School in 1985 and became Professor of Surgery (Neurosurgery) in 1997. At Dartmouth, Dr. Harbaugh served as Director of the Cerebrovascular Disease Center, Director of the Neurosurgical Laboratory and as acting Residency Program Director. In 2003 Dr. Harbaugh accepted the position of Professor and Chairman of the Department of Neurosurgery, Neurosurgery Residency Program Director and Professor of Engineering Science and Mechanics at the Pennsylvania State University. He is a University Distinguished Professor, Penn State’s highest academic rank, and was appointed as the Director of Penn State University’s Institute of the Neurosciences. His research interests include clinical trial design, outcomes analysis, quality improvement in neurosurgery and neural engineering. Dr. Harbaugh has obtained research funding from the NIH, NATO, USDA, Commonwealth of Pennsylvania, industry, foundations and other organizations. He is a member of the Society of Neurological Surgeons, the American Academy of Neurological Surgery, the American Association of Neurological Surgeons (AANS), the Congress of Neurological Surgeons (CNS), the AANS/CNS Cerebrovascular Section (CVS), the AANS/CNS Tumor Section, the American Stroke Association (ASA), the American Heart Association (AHA) Stroke Council, the New England Neurosurgical Society (NENS), the Pennsylvania Neurosurgical Society (PNS) and the American College of Surgeons (ACS). He is presently a Director of the American Board of Neurological Surgery and was recently asked by the National Football League to be a member of the Head, Neck and Spine Committee and to Chair its data collection subcommittee. 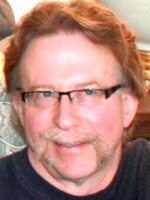 Bill Ray is a Professor of Psychology at Penn State University. He received his PhD from Vanderbilt University and was a Fellow in Medical Psychology at the University of California Medical Center in San Francisco. He has also served as a visiting professor and researcher at the University of Hawaii, Münster University, University of Rome, Tübingen University and Konstanz University. At Penn State, he is currently the Director of the SCAN (Specialization in Cognitive and Affective Neuroscience) program and was previously the Director of the Clinical Psychology Program. His research has focused on approaching clinical questions from a neuroscience perspective. He has used psychophysiological and brain imaging techniques such as EEG, MEG, and fMRI to study emotionality, psychopathology and individual differences. These studies can be found in over 100 articles, book chapters and books. This work has been funded by both national and international agencies including NIH, NIMH, NASA, NATO, and the DAAD. In addition to research, teaching has been an important part of his career. His textbooks include Methods Toward a Psychology of Behavior and Experience (10th ed, 2012, Wadsworth Publishing), Psychophysiological Methods (with Robert Stern & Karen Quigley – (2nd ed, 2000, Oxford University Press) and Evolutionary Psychology: Neuroscience Perspectives Concerning Human Behavior and Experience (2013, SAGE). Dr. Arnett is a professor in the Department of Psychology for Penn State University and a licensed psychologist in Pennsylvania. He obtained his doctorate in Clinical Psychology from the University of Wisconsin in 1992. Upon graduation, Dr. Arnett has worked in the Department of Psychology at several different institutions, including West Virginia University, Washington State University, and Penn State University. He also completed a postdoctoral neuropsychology fellowship at the Medical College of Wisconsin. In 2006 Dr. Arnett was awarded a presidential commendation for Outstanding Service to the Field of Neuropsychology, and has since served on the editorial boards of the Journal of the International Neuropsychological Society, Open Neurosurgery Journal, and Neuropsychology. He is extremely involved in ongoing research including acting as a consultant in the Analysis of Mental Health Data from the Sonya Slifka Longitudinal NMSS Multiple Sclerosis Study, a co-investigator for the Maternal Intelligence, Social Information Processing, and Child Neglect Study, as well as an acting co-investigator for the Identification of Athletes at Risk for Traumatic Brain Injuries Study at Penn State. His upcoming textbook is titled: Arnett, P.A. (Editor). Secondary Influences on Neuropsychological Test Performance. This edited book is going to be the second in a National Academy of Neuropsychology (NAN) series designed to focus on evidenced-based neuropsychological practice and assessment. Dr. J. Christopher Zacko is a co-investigator of our research efforts, contributing heavily to our center with his extensive clinical expertise in neurotrauma and traumatic brain injury. His previous research on diffuse axonal injury combined with his clinical experiences as a Neurotraumatologist and Neurointensivist brings an important perspective to our work. He is involved in clinical assessment of our patient athletes and is focused on strengthening our translational research efforts allowing our investigations to better bridge the gap from “bench to bedside”. 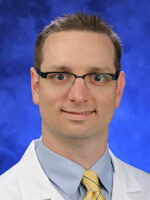 Dr. Zacko is an Assistant Professor of Neurosurgery at Penn State Hershey Medical Center. He also serves as Co-Director of Neurotrauma and Neurocritical Care at the medical center and is head of the Penn State Neurological Sports Injury Program. In addition, he is a member of the NFL Brain and Spine Injury Prevention Committee – sitting on the Subcommittee for Development and Management of a Prospective Database for NFL Players. 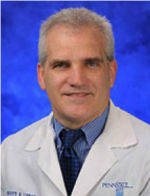 Dr Zacko’s medical training includes a Fellowship in Neurotrauma and Critical Care at the University Of Miami MILLER School Of Medicine (2010), Neurosurgical Residency at Virginia Commonwealth University School of Medicine (2009), and medical school at Virginia Commonwealth University Health Care System (2001). His research interests outside the lab include diffuse axonal injury, multi-modality monitoring in neurocritical care, and cortical spreading depression in the neurocritical realm. Dr. Kathryn Gloyer is a team physician for Penn State Athletic Medicine. She obtained her MD from the University of Maryland School of Medicine in 2007. Dr. Gloyer also finished at Thomas Jefferson University Department of Family and Community Medicine in 2010, and afterwards began a family medicine residency at the Pennsylvania State University Primary Care Sports Medicine Fellowship. She is currently working in State College at the Center for Athletic Medicine where she works closely with Penn State student athletes who have suffered sport related concussion. Dr. Gloyer would like to carry out research that will further examine the evolution of MTBI in acute, sub-acute and chronic phases of brain injury via combining traditional clinical assessment tools with advanced brain imaging and virtual reality modalities. 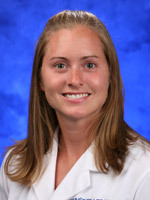 In 2011 Dr. Gloyer was named an assistant professor in the Department of Family and Community Medicine at the Pennsylvania State University College of Medicine in Hershey, PA. She currently continues to hold the title of assistant professor in the Department of Orthopedics and Rehabilitation at the Penn State College of Medicine in State College, PA. Her most recent publication is: K.Gloyer, MD, D. Aukerman, MD,W. Sebastianelli, MD, and S. Slobounov, PhD. Alteration from Baseline Testing May Predict Recovery Rate from Sport-Related Concussion: Virtual Reality Study. Abstract in Clinical Journal of Sport Medicine: March 2011: Vol 21, Issue 2 pg 156-157. Dr. Peter Seidenberg is an associate professor of orthopaedics and rehabilitation and is the director of the Penn State Primary Care Sports Medicine Fellowship Program. In addition, he serves as a team physician for Penn State University varsity athletes. 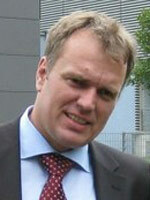 He has over 18 years of experience in the diagnosis and management of concussions. His research efforts include the investigation of predisposing factors for concussive injury, the development of evidence-based guidelines for safe return to play following concussion, and the establishment of evidenced-based treatments following concussion. He is a 13 year Air Force veteran who received his MD from Penn State Hershey College of Medicine in 1996. Afterwards, he completed the Scott AFB – Saint Louis University Family Medicine Residency Program, followed by sports medicine fellowship with the Uniformed Services University of Health Sciences. He is a fellow of the American College of Sports Medicine who has authored forty two journal articles and book chapters in the field of sports medicine. He is a frequent speaker at national meetings, having presented forty two times in the past 14 years. In addition, he has published two sports medicine textbooks – The Sports Medicine Resource Manual and The Hip and Pelvis in Sports Medicine and Primary Care. Dr. Seidenberg has a true passion for teaching the next generation of health care providers how to diagnose and manage concussion. Assistant Professor of Mechanical Engineering, Ph.D.
Dr. Kraft is the Shuman Assistant Professor of Mechanical Engineering at Penn State. Prior to his appointment at Penn State, Dr. Kraft led the Computational Injury Biomechanics group within the Soldier Protection Sciences Branch at the U.S. Army Research Laboratory from 2008-2012 and then served as the Lead Researcher of Computational Biomechanics at The Johns Hopkins University Applied Physics Laboratory from 2012-2013. He has served on the Department of Defense Computational Brain Injury Modeling Expert Panel and the Defense Department’s Integrated Research and Product Team for Traumatic Brain Injury Neurodiagnostics. In 2011, President Obama recognized Dr. Kraft with the Presidential Early Career Award for Scientists and Engineers (PECASE) for his research contributions in computational biomechanics. Dr. Kraft has been pioneering a method to merge brain injury biomechanics and human connectomics science to form a new area of investigation – connectome neurotrauma mechanics (Kraft et. al., PLoS Comp. Bio., 2012). In this method, time-evolving structural brain networks are degraded using physics-based modeling of neurotruama. To learn more about Dr. Kraft’s research see http://www.mne.psu.edu/compbio. Dr. Kraft earned his Ph.D. from The Johns Hopkins University in 2008. Dr. Tutwiler is a Senior Scientist at the Applied Research Laboratory (ARL) of The Pennsylvania State University as well as a Professor of Acoustics. In addition, he is a graduate faculty member in the Department of Acoustics, Department of Electrical Engineering and the Department of Kinesiology. 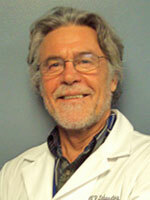 He is also a faculty member in the Penn State College of Medicine MD/Ph.D. program as well as the Penn State Hershey Eye Center and a Research Associate with the Materials Research Institute at Penn State. He is presently the head of the Imaging Systems and Processing Department at ARL where he leads a team of researchers focusing on leading edge image processing/computer vision research. He is also the Deputy Director of the Center for Network-Centric Cognition and Information Fusion at the College of Information Sciences and Technology. He has been working in the areas of multidimensional signal processing and digital image processing since the late 70s. He is involved in the simulation of imagining platforms using bi-directional reflectance modeling, advanced feature tracking and fusing of 3D point cloud data with hyperspectral sensors utilizing tensor voting, manifold learning and differential geometric techniques. His areas of expertise are image processing, computer vision, RF communications, acoustics, theoretical and applied mathematics, and computer science. He actively collaborates with the medical research community in the areas of medical imaging and biomedical signal processing with emphasis on time-frequency analysis of EEG signal sets, machine learning algorithms for complex event detection, biomedical ultrasound and photo-acoustics. He teaches undergraduate and graduate level courses in Image Processing and related disciplines as well as mentoring undergraduate and graduate students. Peter C.M. 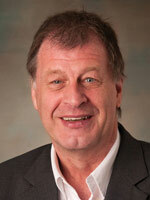 Molenaar is Distinguished Professor of Human Development & Psychology, Department Human Development and Family Studies, The Pennsylvania State University. The general theme of his work involves application of mathematical theories in the following fields of research: application of singularity theory (in particular catastrophe theory) to study developmental stage transitions; application of nonlinear signal analysis techniques to map theoretical models of cognitive information-processing onto dynamically interacting neural sources; application of ergodic theory to study the relationships between intra-individual (idiographic) analyses and inter-individual (nomothetic) analyses of psychological processes; application of advanced longitudinal multivariate analysis techniques in quantitative genetics and developmental psychology; application of adaptive resonance theory (ART neural networks) to study the effects of nonlinear epigenetic processes; application of computational control techniques to optimally guide developmental psychological processes and disease processes of individual subjects in real time. Leonid Berlyand is a professor of mathematics and a member of Materials Research Institute at Penn State. He received his Ph.D. from Kharkov State University (Ukraine) and then became a researcher at the Institute of Chemical Physics USSR Academy of Sciences (Moscow). He also has held long term visiting positions at Princeton University, California Institute of Technology, University of Chicago, Max-Planck Institute for Mathematics in the Sciences, University Paris 6, Argonne and Los Alamos National Laboratories. His research has been continuously supported by the NSF Division of Mathematical Science since 1996. He is currently supported by the Applied Mathematics Program of DOE Office of Sciences, NIH/NIGMS RO1 grant, BSF (Bi-National Science Foundation USA-Israel) and NATO Science for Piece and Security Section. Dr. Berlyand has published over 80 articles in journals both in mathematics and in other disciplines such as biology and physics. He also published a research monograph “Introduction to the Network Approximation Method for Materials Modeling” in Cambridge University Press. He has supervised 14 graduate students and seven postdoctoral fellows. Dr. Neuberger is the Director of the High Field MRI Facility and assistant professor of Biomedical Engineering at Penn State University. As director of the High Field MRI Facility Dr. Neuberger is involved in all aspects of research conducted using the 7 and 14.1 tesla Agilent magnets. 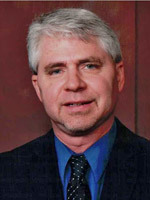 Dr. Neuberger’s personal research interests include advanced MR techniques, MR microscopy, spectroscopy, and sodium imaging. Dr. Neuberger has vast experience working with animal and animal models of injury, where he has been a pioneer in using sodium imaging to research brain injury including, stroke. Dr. Neuberger is an active member in the International Society of Magnetic Resonance in Medicine and has received numerous awards and honors. Dr. Neuberger earned his Ph.D. from the University of Würzburg, Würzburg, Germany. Dr. Melik C. Demirel, Ph.D.
Dr. Melik Demirel is a tenured Professor of Engineering Science and Mechanics, Materials Research Institute and Huck Institutes of Life Sciences at the Pennsylvania State University. Over the last decade, Professor Demirel and his research team have focused on developing functional biomimetic materials. His team designed, fabricated and synthesized advanced materials by studying the functional transitions of biomimetic systems, both computationally and experimentally. This approach opens up a new field of functional biomimetic materials for manufacturing eco-friendly advanced materials and devices. Prof. Demirel’s achievements have been recognized, in part, through his receipt of a Young Investigator Award from the Department of Defense, an Alexander von Humboldt Fellowship, as a Wyss Institute Visiting Scholar at Harvard University, an Institute for Complex Adaptive Matter Junior Fellowship, The Nicholas and Gelsa Pelick Biotechnology Innovation Award and the Pearce Development Professorship, and a Penn State Engineering Alumni Society Outstanding Research Award. For more information on Prof. Demirel’s Laboratory www.personal.psu.edu/mcd18/index.html. Dr. Scott Lynch joined the faculty at Penn State Hershey Medical Center in June of 1998 as an Orthopaedic Surgeon with subspecialization in Sports Medicine. Prior to coming to Hershey he did his Orthopaedic residency at the University of Vermont and then did two Sports Medicine Fellowships, one at the Cleveland Clinic and one overseas at the Karolinska Institute in Stockholm, Sweden. He is an Associate Professor of Orthopaedic Surgery and is the Director of Sports Medicine at Penn State Hershey Medical Center. 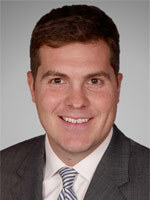 He has been awarded the Vincent D. Pellegrini, Jr. Resident Teaching Award in 2002 and 2007. 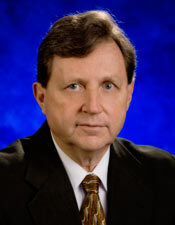 He has been the Practice Site Medical Director for the Adult Bone and Joint Clinic since its opening in 2008. 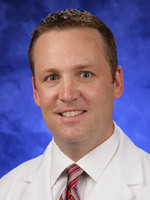 He serves as a team physician for several area high schools, as an assistant team physician for the Hershey Bears hockey team, and is the Director of Athletic Medicine for Penn State University at University Park. Dr. Karl M. Newell is Professor of Kinesiology at the University of Georgia. Dr. Newell’s research interests lie in the area of human movement in general and more specifically in motor learning and control. His research focuses on the coordination, control and skill of normal and abnormal human movement across the lifespan. 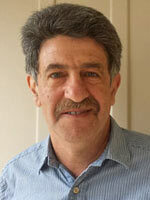 He has published over 400 papers in refereed journals and book chapters. His research has received essentially continuous external funding through his career with significant grant support from NIH and NSF. He has also written extensively on Kinesiology as a field of study. Karl has been Executive Editor of the Journal of Motor Behavior and on the editorial boards of several other journals, while also reviewing regularly for a wide range of journals. He is an active member of several societies that relate to and support the study of human movement.